Description Mariam is only fifteen when she is sent to Kabul to marry the troubled and bitter Rasheed, who is thirty years her senior. Nearly two decades later, in a climate of growing unrest, tragedy strikes fifteen-year-old Laila, who must leave her home and join Mariam's unhappy household. Laila and Mariam are to find consolation in each other, their friendship to grow as deep as the bond between sisters, as strong as the ties between mother and daughter. With the passing of time comes Taliban rule over Afghanistan, the streets of Kabul loud with the sound of gunfire and bombs, life a desperate struggle against starvation, brutality and fear, the women's endurance tested beyond their worst imaginings. Yet love can move a person to act in unexpected ways, lead them to overcome the most daunting obstacles with a startling heroism. In the end it is love that triumphs over death and destruction. 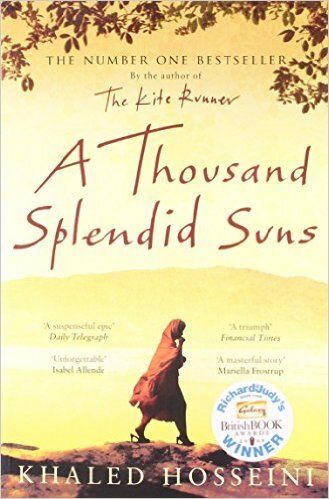 A Thousand Splendid Suns is an unforgettable portrait of a wounded country and a deeply moving story of family and friendship. It is a beautiful, heart-wrenching story of an unforgiving time, an unlikely bond and an indestructible love.